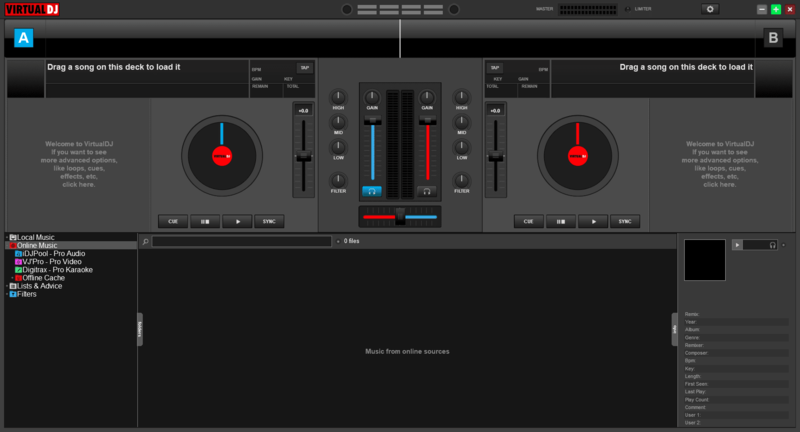 Virtual DJ is a free software that can be used to run your own DJ setup virtually. It has been built from the ground up to include all of the bells and whistles you need, so that you don't have to buy a single piece of equipment. 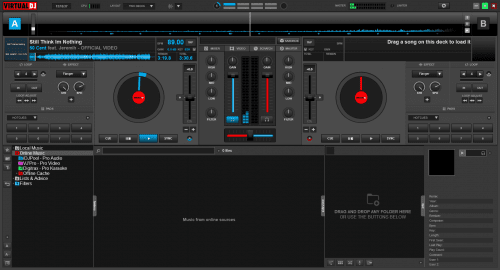 Instead, everything a DJ could ever want to do, can be accomplished from within Virtual DJ. 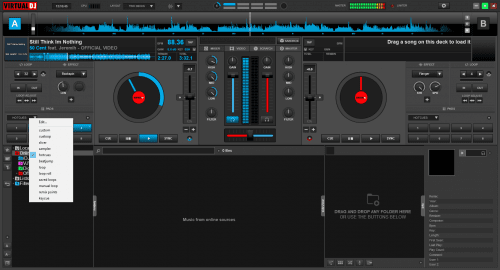 Whether it's spinning the decks, transitioning between tracks, mixing tracks together, or any other similar tasks, it's pretty much right in front of you as soon as you open up Virtual DJ for the first time. The first thing you'll want to do is edit the interface by clicking on settings button, located at the top of the screen. 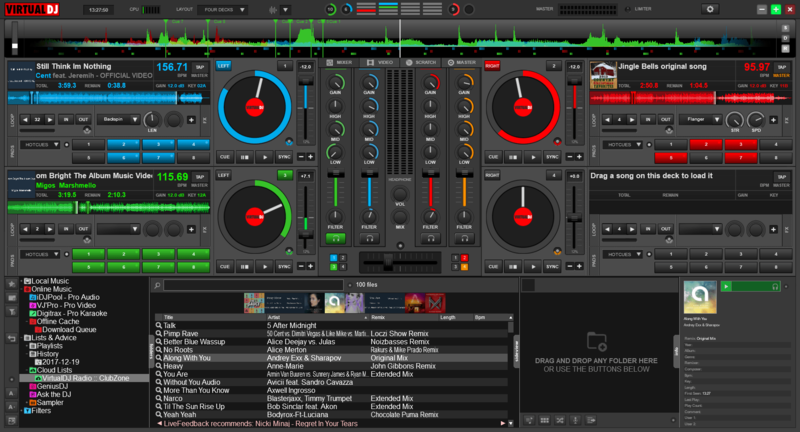 You are given the choice to have anywhere between 2 to 6 decks on screen at once, each of which can have its own track playing. 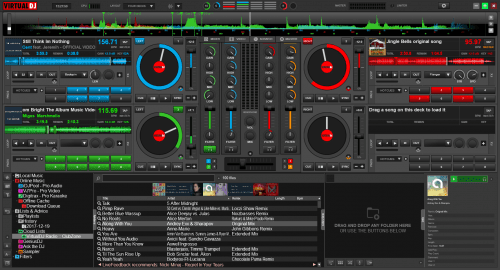 To get tracks, you can drag and drop music files onto each individual deck. 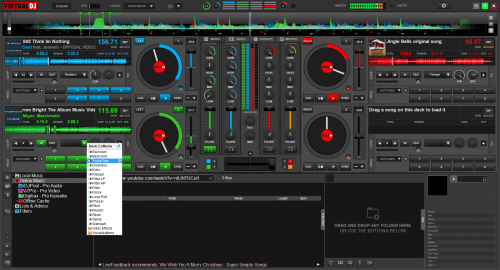 You can also find music from online sources by browsing through the list provided to users on the bottom left hand side of the screen. When it comes to mixing tracks, you have a lot of freedom. 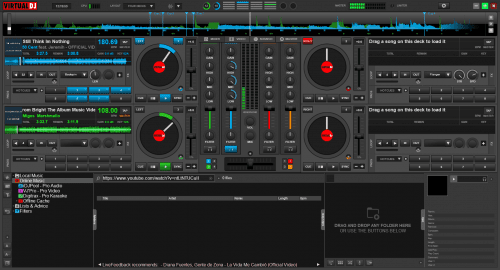 You're given multiple controls to create hot cues, loops, samples and beat jumps. 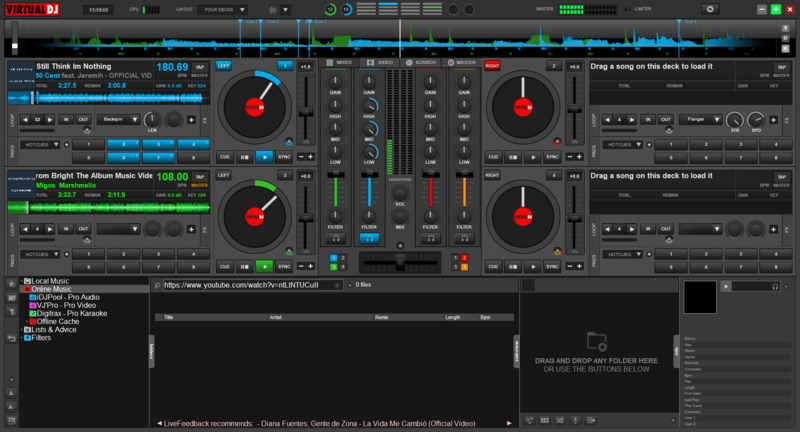 You are also given different mixer controls for each separate desk. This means you can edit the volume, lows, highs, mids and other things for each individual track separately. 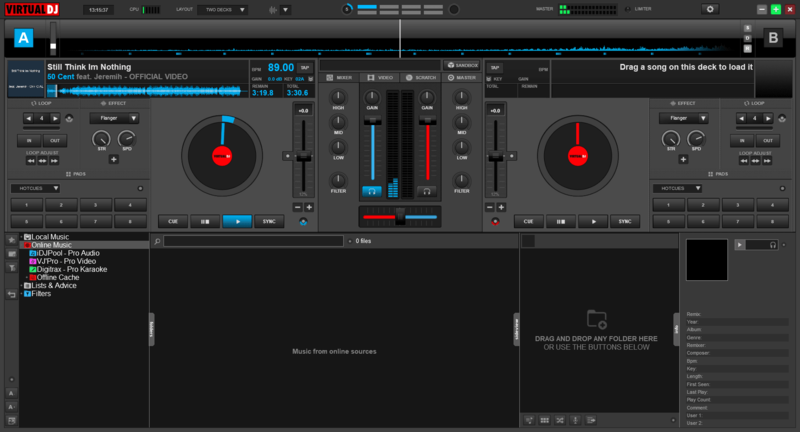 Our only complaint with Virtual DJ is that it's a little overwhelming for somebody that might be new to DJing. Like most things, it takes a bit of learning to understand how the functionality works. Thankfully, there is plenty of information available online that can help with this.